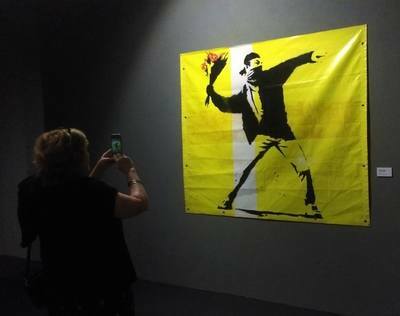 The Art of Banksy Exhibition at The Paddock in Federation Square is now open, albeit amidst a little backlash. The controversial exhibition, which displays the works of arguably the greatest (certainly biggest name) in street art opened on 7 October 2016, despite not getting the seal of approval from the artist himself. 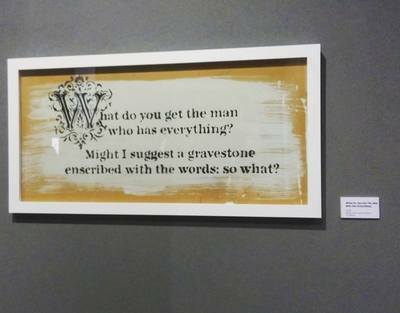 The compilation of works displayed in The Art of Banksy Exhibition has been put together by the artist's former manager, Steve Lazarides. Regardless, The Art of Banksy is an enjoyable exhibition for those who both appreciate the work of the elusive British graffiti artist and political activist, and also for those that wish to see more of Banksy's creative endeavours. 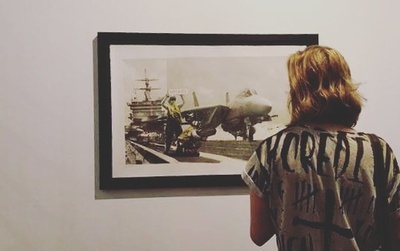 This is an opportunity to see an extensive art collection, which explores the artistic adventure and creative mind of Banksy and his satirical work. Many of Banksy's artworks you may be familiar with; The Girl with the Red Balloon and "Rage" The Flower Thrower, but these are just the a few of the many pieces under the name of the unverified artist. Keeping in-line with the vibe of Banksy's artwork, the exhibition is presented in a raw fashion, without too much fluff. 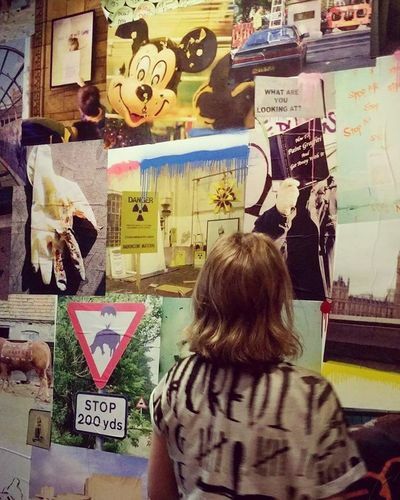 Framed pieces on brick walls, replicated work on cardboard and tarpaulin, with a few interesting extras; a room filled with Banksy painted t-shirts handing from the ceiling, for example. If you are of the notion that street art shouldn't incur an entry fee, or that this exhibition should not exist with Banksy's approval, then don't go. However, if you want to journey into Banksy's creative mind for a short while, and take in the artwork that has somewhat shaped what we see in street art today, then go see it; you won't be disappointed. Yes. Although I didn't take my kids with me, I'd like to go back and take my 8yo. Younger children probably wouldn't understand, but there isn't anything too alarming for them to be concerned about.